Thirty-five years ago, the world first came to know about a virus which would change the course of history and be responsible for more than 35 million deaths worldwide. Every December 1st, World AIDS Day, the world takes a moment to reflect upon the history of HIV/AIDS, the progress we have made in combating it so far, and the road ahead to zero new infections. Since 2005, HAI has supported ministries of health as they scaled up services to address HIV and AIDS as the number of new infections grew and spread across the globe. In Mozambique, HAI helped to pioneer access to life-saving treatment and ongoing support to those who needed it the most. In Côte d’Ivoire, we continue to work side-by-side with CI Ministry of Health and local partners to ensure that the most recent advances in technology and medication are available to all. Though great progress has been made (and we should celebrate that!) the road ahead to the end of AIDS will take a great deal of effort. Almost 37 million people in the world continue to live with HIV, and we have yet to develop an effective vaccine to prevent all new infections. New strategies to reach the most vulnerable populations – such as adolescents, mobile workers, and other key populations – as well as continuing support for cutting-edge strategies like test and start are a part of HAI’s core work for the future. 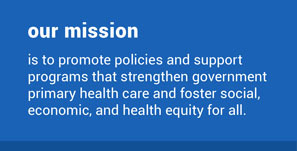 Our Advocacy Program works to promote more just global health and economic policies to ensure that countries are able to provide health services for all. In honor of World AIDS Day 2016, we’re turning our logo red. A world without AIDS is within our reach. Together, we can make the dream of zero new infections a reality.